Dubai started as a fishing village in the early 18th century and is now a completely transformed city with its countless groundbreaking projects and forward-thinking initiatives. A profound testament to this revolutionary transformation is its numerous bustling districts with Downtown Dubai topping the list. Billed as ‘The Centre of Now,’ Downtown Dubai has captured the hearts of many and fully cemented Dubai’s reputation as a truly global city. It is home to some of the best five-star hotels and most striking skyscrapers and tourist attractions including the iconic Burj Khalifa, the mesmerizing Dubai Fountain, the highly celebrated Dubai Opera, and one of the world’s largest shopping center to-date, the Dubai Mall. Adding grace to its scenery and the remarkable cosmopolitan landscape is the opulent Burj Royale. 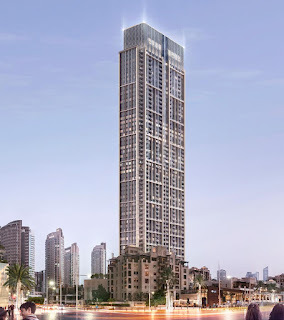 Burj Royale is a newly-launched residential destination towering 58 floors and offering premium luxury apartments ranging in one, two, and three-bedroom layouts. 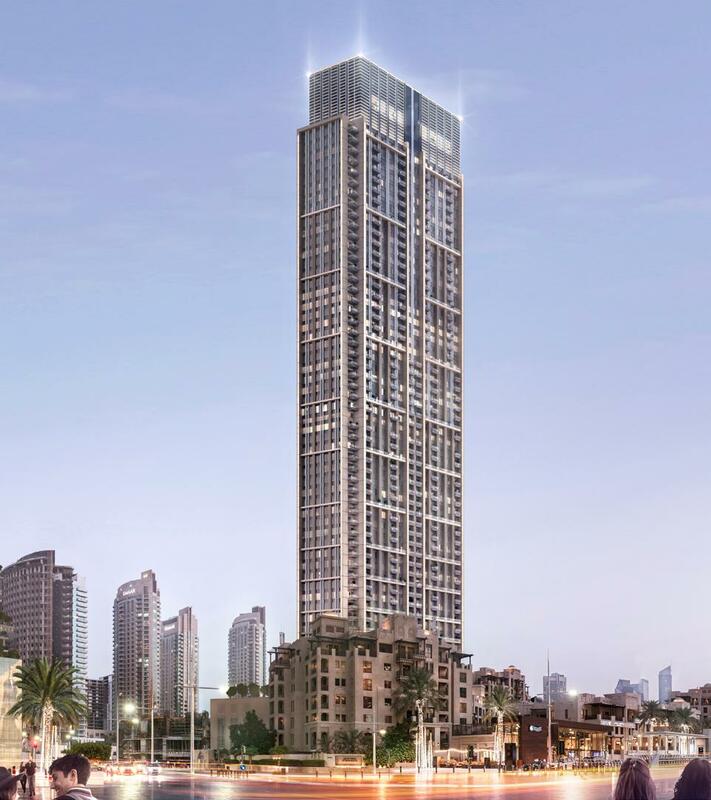 Developed by Emaar Properties, one of the leading real estate developers in the UAE, it is set to be the last residential tower with panoramic views of the buzzing Downtown district. Located in a prime spot by the lavish Old Town district and the Mohammed Bin Rashid Boulevard, Burj Royale features a distinct architecture – a combination of a low-rise vernacular foreground and a high-rise contemporary background that seamlessly forms a uniquely majestic modern structure that truly stands out. Smooth clean lines and large glass windows make up its modern façade, effortlessly mirroring its one-of-a-kind environment. Its sleek, contemporary residences offer convenient and vibrant lifestyle choices to homeowners. A pristine white finish flows throughout the interior and the open-plan layout – combining the living, dining, and kitchen areas – fully maximizes the use of space. Natural daylight streaming in through the floor-to-ceiling windows floods every apartment and affords residents with direct, unobstructed views of Dubai’s picturesque skyline and Downtown Dubai’s delightful charms. The beautifully appointed bedrooms boast ample space to relax and recharge. They come with fitted wardrobes and sizeable bathrooms, set off with superior finishing and high-end fittings while the attached generous balconies open out to breath-taking views providing a great setting for an afternoon of unwinding. Designed for utmost comfort and luxurious city living, Burj Royale will also house several regal amenities. Residents will benefit from round-the-clock security, a fully-equipped fitness center, an open swimming pool and kid’s pool, play areas for children, lush podium gardens, as well as a rooftop observation deck with barbeque areas. With Downtown Dubai’s flourishing and dynamic community, they also get to enjoy a mixture of high-end retail outlets, a plethora of gourmet restaurants, and an array of entertainment spots found at the neighboring luxury hotels and recreational center. Burj Royale’s strategic location allows occupants to easily commute and connect to the Dubai International Airport and the city’s other wonderful communities. Emaar calls upon investors to take advantage of this rare opportunity to own a residential apartment in the heart of Downtown Dubai. Burj Royale’s premium apartments are competitively priced, making them a fantastic investment opportunity for the discerning buyer. Thinking about the economy, to buy a property in Dubai? it is outstanding amongst other choices you can take for putting your cash in an secured market. Dubai is the city of lights with vast entertaining happenings, that none can be jaded. But the same time families wish quiet location as compared to the city life. Boasting wan area ideal by the location in Dubai Hills, is set to become one of the most luxurious, and exceptional family communities for Dubai’s residents. Dubai Hills is one of Dubai’s most remarkable developments, Situated between the two foremost accesses of Al Khail Road and Mohammed Bin Zayed Road. 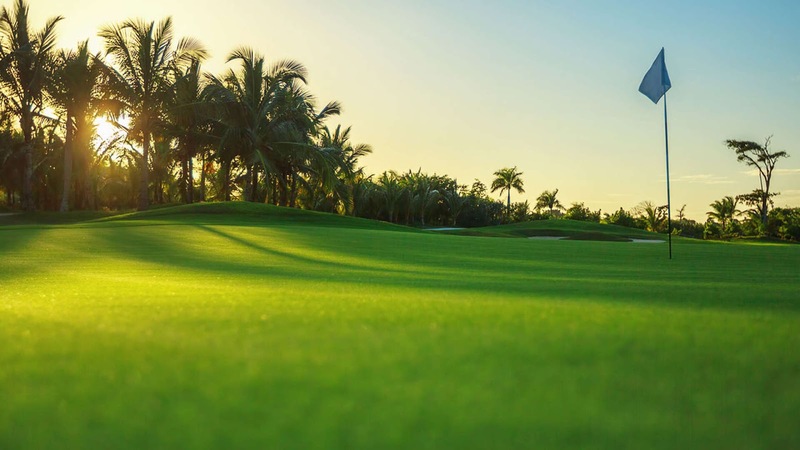 Dubai Hills, is an wonderful option for residential and lifestyle comprising villas, low-rise apartments and townhouses built around golf course. Golf Suites, a stunning 20-storey residential tower project by Emaar. Emaar is the best and the most trustworthy developers in Dubai. This pioneering developer is Known for its unbeatable quality and design include the Burj Khalifa, The Dubai Mall and The Dubai Fountain. This apartment is indeed a wonderful principal residence and another approach to live – in a city inside a city from the hustle and bustle of the city. The Golf Suites offers Down payment of just 5% and It Ranges to 1, 2 and 3 bedroom options. 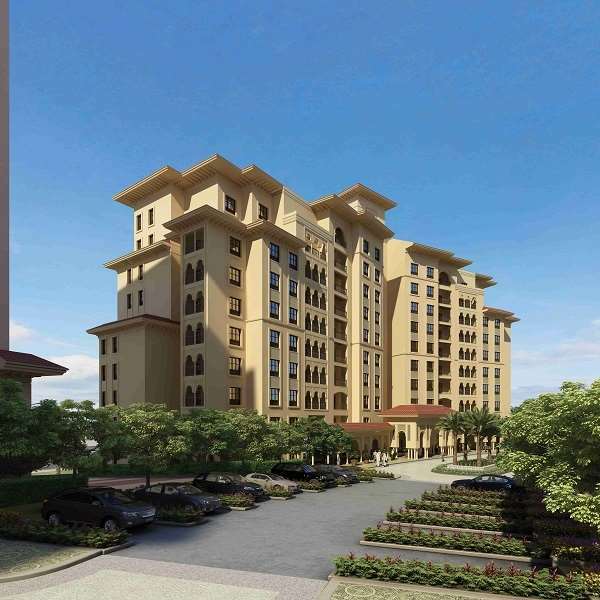 Gulf suites at Dubai Hills is located close proximate to Dubai’s fastest up and coming communities. This exclusive community features Dubai Hills Park, landscaped lush gardens overlooking the golf course and the Dubai skyline, cycling and running trails, also includes indoor and outdoor sports facilities. This magnificent property is designed with a urban architecture that features floor to floor ceiling overlooking the golf course and the large expanses of greeneries. The apartments features open plan layouts that are complemented by high-end stone and wood finishes, and all of the kitchens come equipped with a complete range of high-end appliances. Every aspect of the design has been considered to the smooth and finest detail. It is only a short walk from all of the fantastic features offered by the clubhouse in the Dubai Hills. This community is the perfect option for those who are truly seeking luxury and comfort, providing meticulously landscaped lush greenery. The extensive Dubai Hills Mall is located on one end of the development, offering a world-class shopping experience. There are also international schools and healthcare facilities, including the famous King’s College Hospital. At Dubai Hills, you not only get a home of your own, but you can also enjoy luxurious amenities that are not offered with rest of the neighborhoods. A comfortable investment as the Down payment is just of 5%. Golf Suites is likely to be handed over by 2021. There has been enough evidence of Dubai's real estate market going down with each year. The most recent data of off-plan residential transactions carried in the city from January to June 2018 clearly support the notion that the real estate is clearly shooting towards a downward hill. The total number of transactions carried out in those months amounted to 9,437 which is around 20% less than that of previous years during the same tenure. There could have been a high possibility of a gap being much greater if a total of 2006 home didn't sell off in the month of June. Gone are the days when Dubai's residential market was flying high, now even crossing the 2000 residential transaction mark in a month seems like a big deal! If the similar data is compared to the previous year, things get easier to comprehend. The mark of selling 2000+ residential units was crossed more than three times just in the first six months of 2017, whereas it seems an unrivaled accomplishment up has crossed the number once in this year. These figures represent only one thing: there has been a substantial difference in the units sold when the present year is compared to the previous one. Learn factual data before choosing the right off plan for your investment. While the sales figures are comparatively lower in relation to that of 2017, the market remains inclined towards luxury real estate in the city. Some of the luxury residential areas being the top priority include the group of islands built by Meeras, such as Bluewaters, Jumeira Bay, and several others. Builders who possess ready to live residential properties in these areas are at a greater advantage as compared to the rest of real estate market in Dubai. Numerical data shows that for those with ready deals, the best three spots included Dubai Marina, International City, and Sports City. Among all the residential plans, ready deals in luxurious areas stay competitive. The figures remain comparable to the last years, with only a decline of 6 percent. Although the statistical data is not very positive, however, the developers in Dubai are still optimistic and hoping for the coming half of 2018. There were some factors including Ramadan which could have contributed to the slow growth of sales figures in the first six months of 2018. However, contrary to the expectation, the builders who chose to launch during the months of May and June closed their deals successfully without roaring competition from the market. Although the statistical data seems to plunge in the rest of the market, there are still some areas except luxury ones that aren't exactly affected by the low residential transactions. Among them, the areas include Jumeirah Village Circle, Meydan master-development with 908 and 1102 units sold respectively. Other than this, there were also a few notable places with hefty sale numbers. The figures for ready property side were also comparatively low in relation to the average residential sales. As compared to last year, the figures were around 300 units short, with 6106 and 6464 units being sold in the year 2018 and 2017 respectively. According to Mr. Sameer Lakhani, who is the Managing Director at Global Capital Partners, there is a reasonable demand for ready space in middle-income areas including Sports City. Moreover, the interest in the luxury market is also regaining its hegemony, with localities like Downtown and Palm Jumeirah reaching unrivaled heights in sales figures for this year. Contrasting the ready spaces in two years shows no different results. In the first half of 2017, a total of Dh 11.8 was invested in the registration of ready space properties as compared to a Dh10.4 billion worth of sale in 2017. In percent terms, the decline translates to a loss of 11% per year. The real estate market is diving on a downward scale for a few years. The complication is not only limited to reaching the nadir of statistical data, but there are several obstacles to the growth of industry too. One of the possible stressors for the real estate market in Dubai is the ever increasing interest rates. The hikes would significantly impact on mortgage payments in future & result in a delay of settlement.